Yakitori bars and izakayas are a dime a dozen in Singapore, especially with the recent boom in the coupling of cocktails and skewers. 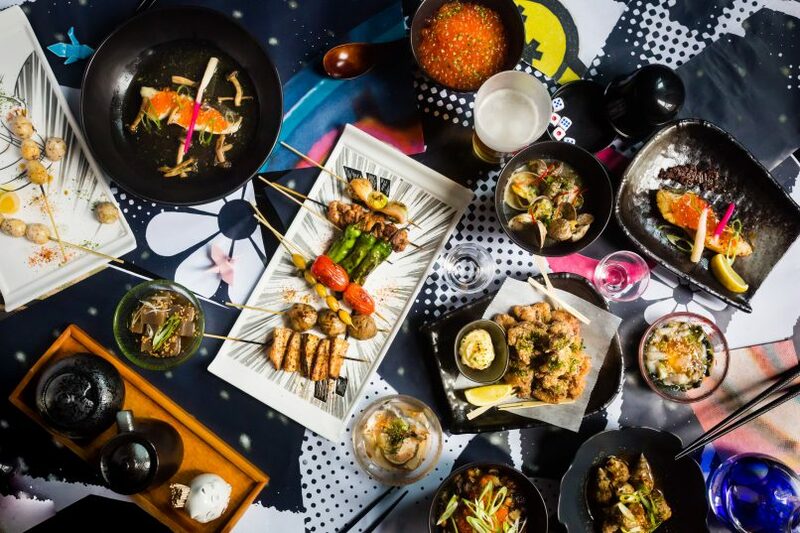 Chikin, established by the group behind mod-Canto bar and restaurant, Sum Yi Tai, offers something a little different to a known favourite — Sichuan mala yakitori skewers, Japanese bites and cocktail infusions. The art sure makes a statement. The three-storey space is a pop art vision. 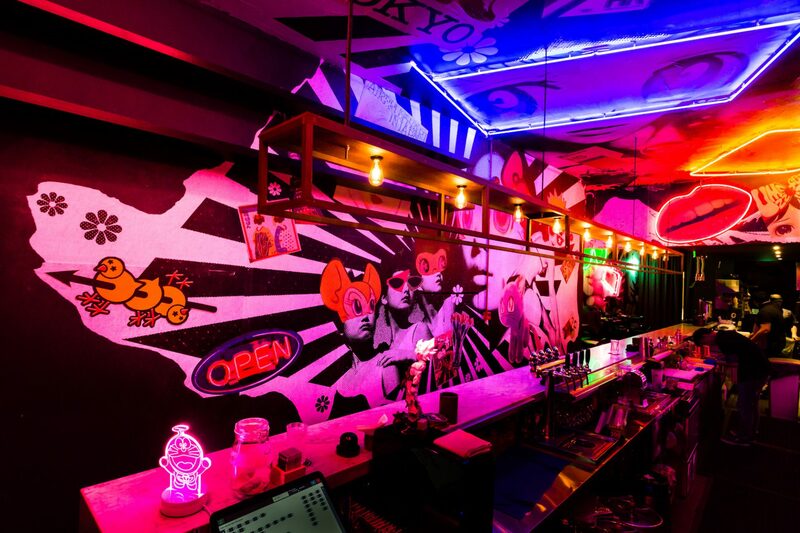 On the ground floor, you have a neon-lit open bar and kitchen, and floor to ceiling pop art murals with Japanese and ’80s-style elements. 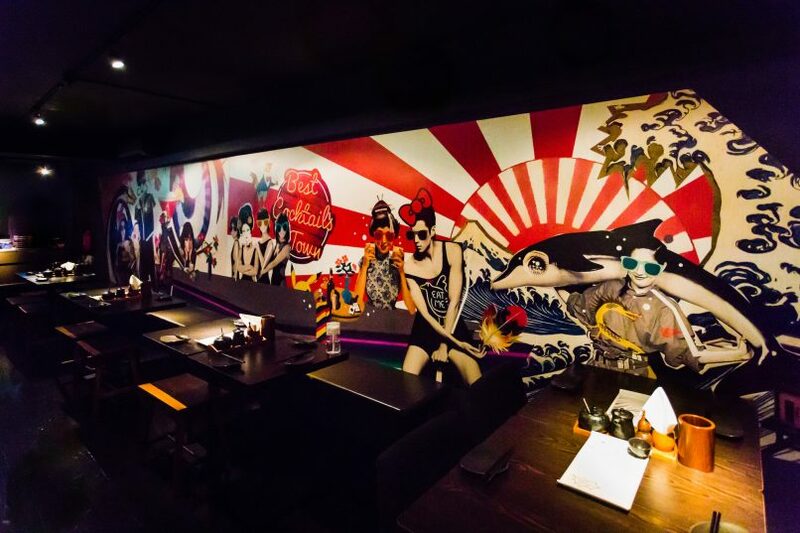 Created by artist Cheah Wei Chun, the vibrant artwork continues up to the second floor, where there’s a casual dining hall complete with leather cushions and mood lighting. Chikin is definitely a place that wouldn’t be amiss on your Friday night, after-work itinerary. Run by Sam Wong, formerly of Ah Sam’s Cold Drink Stall, the bar at Chikin boasts 20 cocktails. Most are done with white liquors, such as gin and sake, to temper the smoke and spice from the grilled skewers. Fifteen of the cocktails available are infusions, rested for three to four days. The Sake Sangria is one to try from the infusions list. It’s a mellow, fruity expression made with sake and gin, pineapple, honeydew, watermelon, black grapes and lemon. 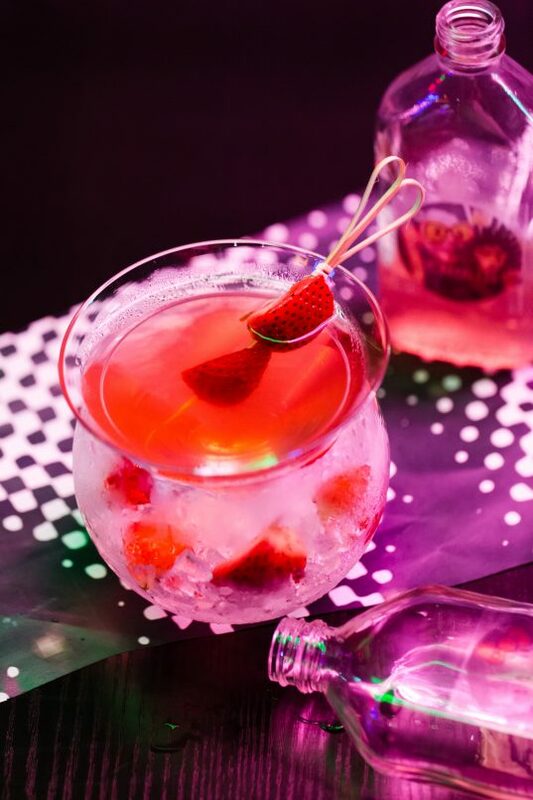 Those not a fan of sweet cocktails can try the Kuru Strawberry, Wong’s take on a strawberry martini, which comes infused with sake, orange bitters, berries and gin. The bar also offers cocktails that are made on the spot. 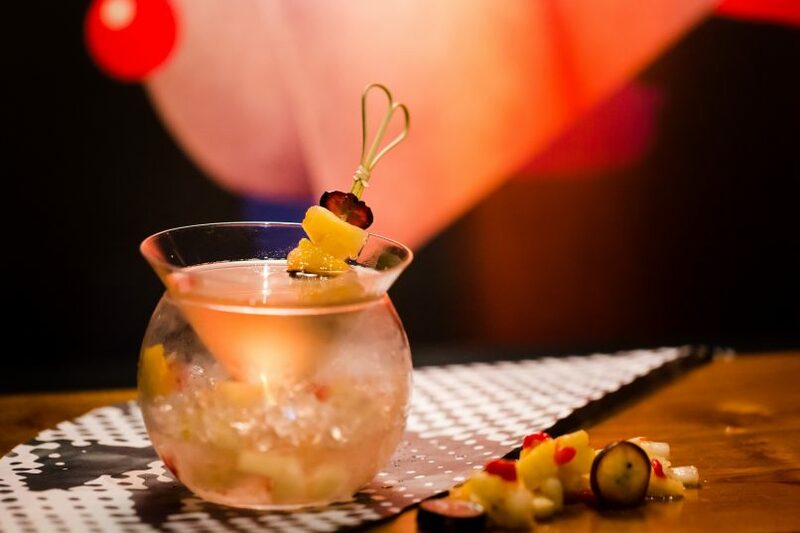 Two standouts are the Shiso My Mojo, a citrusy sake-tini garnished with a shiso leaf that brings an earthy depth, and the My Sakura, a straightforward sake and gin martini made with cherry blossoms. Choose the latter if you’re looking for something more spirit-forward, as most of the white liquor-based cocktails here deliver only delicate punches. With a namesake like Chikin, it’s obvious that most of the skewers are going to be made from chicken. The establishment grills 13 parts of the chicken over binchotan charcoal, and each skewer is dusted with Szechuan spices. It’s more of a kick than anything tear-inducing, but there are less spicy options for those who can’t take the heat, as well as vegetables for those who can’t eat meat. Each skewer costs S$3, but platters are available for large groups. We loved the grilled quail eggs, chicken meatballs, the tender chicken tail and thigh, but weren’t sure what to feel about the chicken cartilage. Only try that if you’re a fan of soft bones and the intense crunching that comes with them. The ikura garlic fried rice. 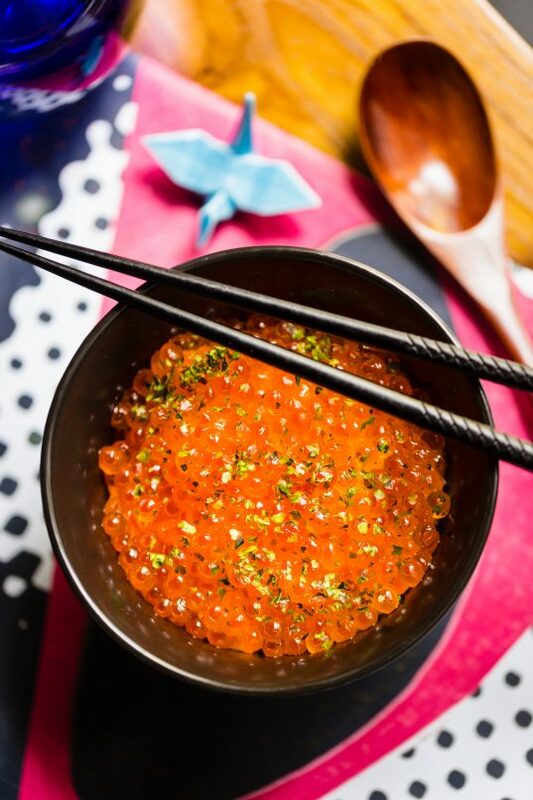 Aside from yakitori, the ikura garlic rice and unagi garlic fried rice with fish roe are must-orders for being so indulgent and packed with umami. The chilled Japanese sea snails in Sichuan spiced broth are also a chewy treat, so be brave and give it a try. Chikin, 6 Bukit Pasoh Road, Singapore 089820, tel: +65 6910 2742. Open from 5pm to 12am daily.